The British Journal of Healthcare Management is a monthly publication and online archive for senior healthcare decision makers and is fully paid for by subscription. This leading clinical journal is double blind peer reviewed and read by C-Suite executives, directors and manager’s from NHS trusts, the private sector, and all CCG’s in the UK. The British Journal of Hospital Medicine is the monthly review journal for hospital doctors. The journal publishes practical articles covering all aspects of secondary care. The readership includes specialist doctors, general medicine doctors, anaesthetists, surgeons, emergency care, oncologists, gastroenterology, psychiatry and acute care specialists. 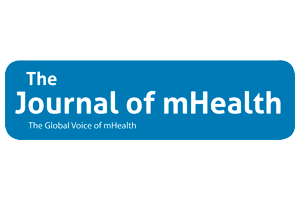 The Journal of mHealth is an international publication bringing the latest developments in innovative emerging health technologies to healthcare and industry professionals around the world. Featuring, the Latest Industry News, Articles, Research, Industry Whitepapers and Market Reports. The Journal of mHealth is the “Voice of the Digital Health Industry”. The Diabetes Times is an authoritative news and information source for diabetes healthcare professionals, providing a comprehensive resource to support the improvement of diabetes care throughout the UK. As well as our fortnightly email newsletter, we deliver case studies, the latest clinical guidelines, a resource library as well as a new e-learning suite, a jobs board and an events calendar.